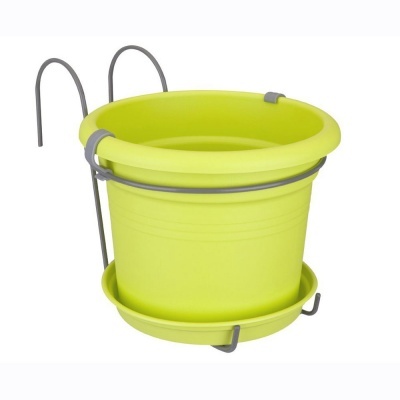 Green Basics Provence Balcony Potholder All-In-One Lime Green from the environmental friendly range from Elho is a ready to hang cylinder pot planter. Green Basics satisfies Gardeners who have the environmental impact firmly on their mind. Elho have produced great looking planters with the environmental benefit that reused plastic brings and this 'Provence' All in 1 balcony potholder is no exception. A complete set including hanging frame which surrounds the pot holder and drip saucer, made from 100% recycled plastic. The environmentally-friendly way to stylishly decorate a garden gate, fence or the balcony at an affordable price. 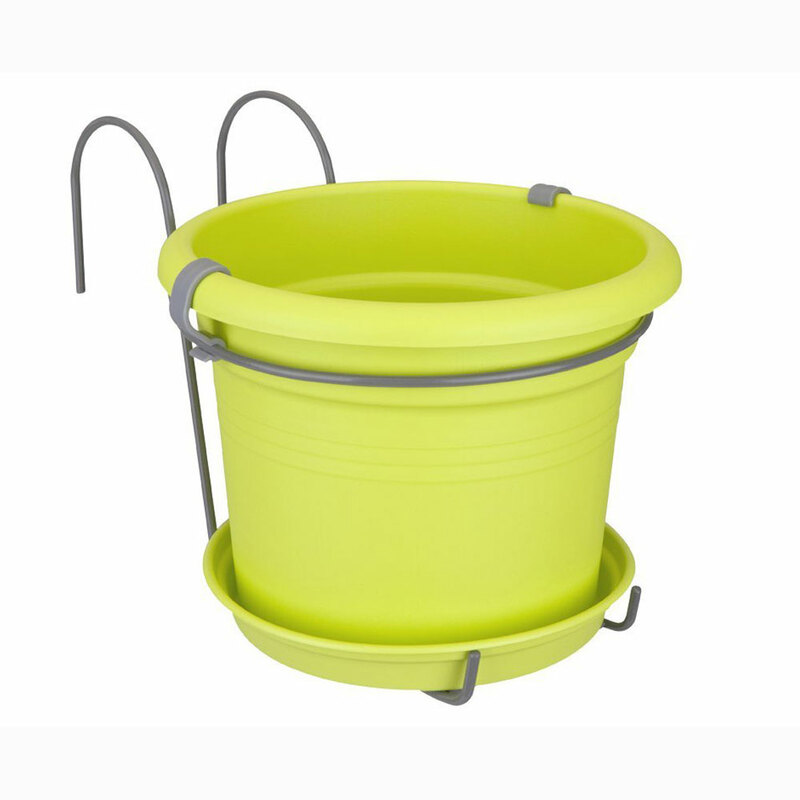 With matching Provence saucer which has open access rim suitable for easy watering in situ.